THIS *TO BE BUILT* EXECUTIVE HOME in a lovely lakes district on 10.45 acres, gently rolling and partly wooded, WILL KNOCK YOUR SOCKS OFF--IT'S GORGEOUS! 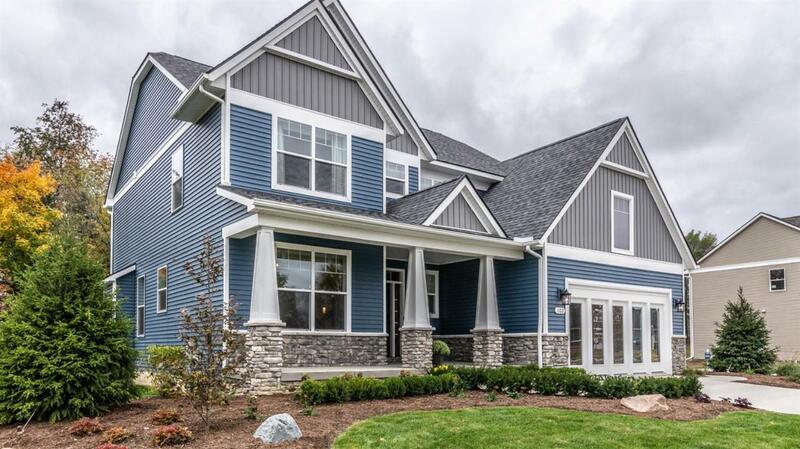 From the big front porch, the beautiful stone trim & Craftsman-style details to an OPEN FLOOR PLAN & BIG BRIGHT WINDOWS this home lives large. Upgraded LUXURIOUS FINISHES & ELEGANT STYLE TOP IT OFF. Expansive, LIGHT-FILLED great room, gourmet kitchen & large deck are TRULY LOVELY & FABULOUS FOR ENTERTAINING! Master bedroom w/huge walk-in closet & master bath, plus 3 more bedrooms & 2nd full bath. This model has the potential to include a fully finished walkout or daylight basement w/ 5th bedroom, 3rd full bath & wet bar. Lots of room to roam. Build your new home far back from the road for quiet & privacy. Property also has a N.Price Lake Rd. address which could be used when the home & driveway off N.Price Lake Rd. are built. Plenty of room to roam here, & lots of cleared space to garden with flowers, vegetables, fruit trees--the land was farmed until this year & has good rich soil. This sub allows some animals (no pigs), with permission from the township, so it's great for a hobby farm too. Taxes shown are based on vacant land. Don't miss it!